Hello! Today I have 3 of the brand new Barry M Magnetic polishes to show you - Neptune Sea, Cosmic Glow and Moon Dust. 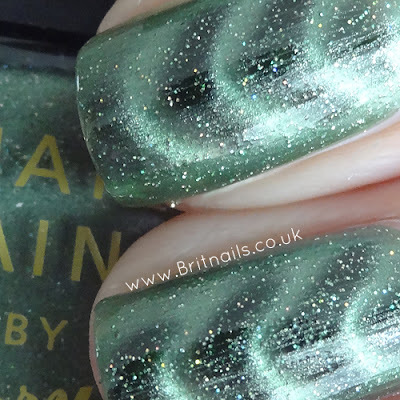 First up is Cosmic Glow. 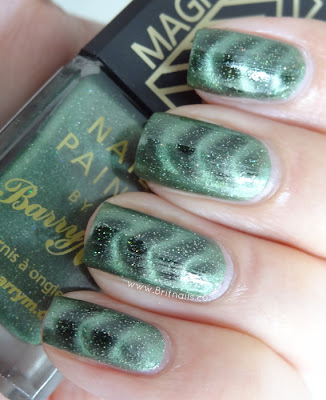 This is a dusty green infused with iridescent micro glitter and comes with a chevron magnetic pattern (though you can of course swap and change the lids if you own more than one) and when the magnet is applied, a darker green colour shows through (scroll to the bottom of this post for application guide) I used 2 coats. 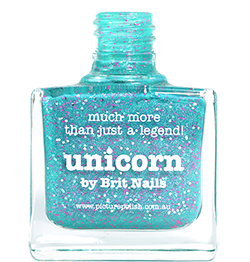 The micro glitter adds a new dimension to it and is super sparkly! Next is Moon Dust, a light copper shade shot through with shimmer. This one is my favourite of the 3, it has an almost 3D effect! It comes with a diagonal magnetic pattern and when applied, a beautiful golden shimmery copper shows through (make sure you enlarge the pics to see it!) This one is a little more sheer than Cosmic Glow so you may need 3 coats for full opaqueness. Last is Neptune Sea. 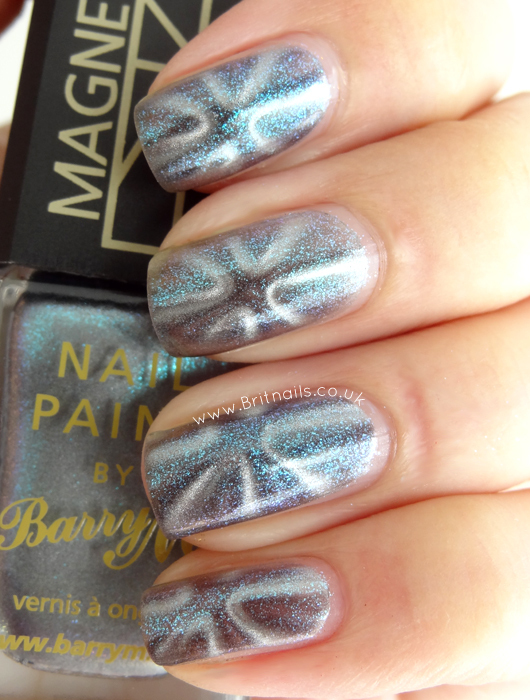 The colour of this one doesn't look as nice as the others at first; it's a sort of dull blue/grey, but it actually has lovely bright blue shimmer that really pops when you apply the magnet. This one is quite sheer and I needed three coats. Are they worth buying? Yes! 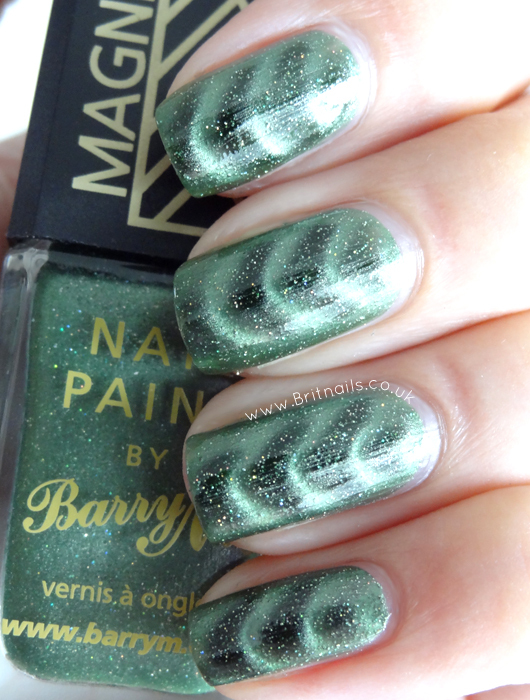 Barry M tend to do things right and these do their job, they work very well and when used properly, make a clearly defined pattern. The formula is also smooth and easy to work with. 4 - When your last coat is still wet, hover the magnet over your nail, using the little lip on the lid to rest it against your cuticle. Hold for about 10 seconds, making sure not to touch the polish with the lid. 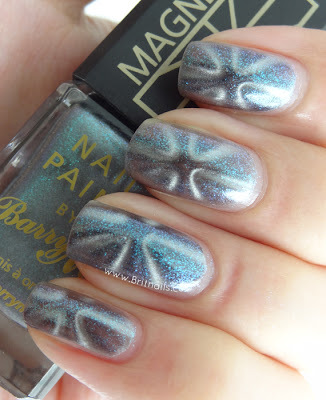 5 -You can use top coat if you want, but wait until the polish is 100% dry or you risk pulling the pattern. 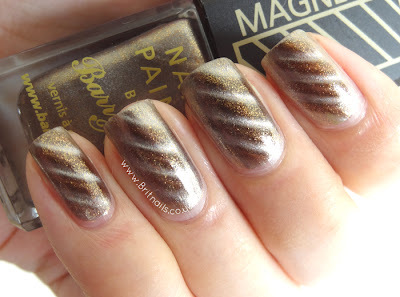 Barry M Magnetics are available from http://www.barrym.com for £4.99. They've got more! OMG Barry M, they just keep doing more new stuff every day, do they want to bankrupt me?? I really like Moon Dust. That's so pretty. I feel the same, the amount of money I must spend on Barry M...I dread to think! Oh my gosh. I neeeeeeeeeeeeeeed Neptune Sea. 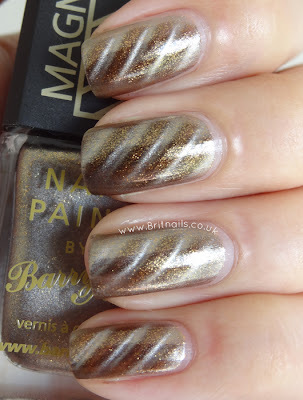 I might actually go out and get it today off the back of these swatches. 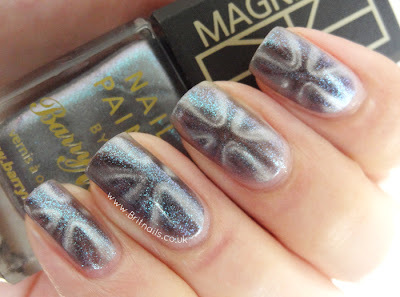 Wonderful review, this is really helpful and the nails looks stunning! 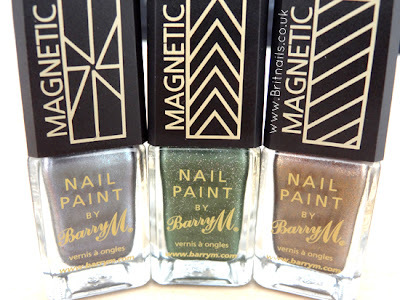 Will you be reviewing the other Barry M magnetic colours from their new selection? Venus Sunset (Red) & Super Nova (Silver)? These look so great! 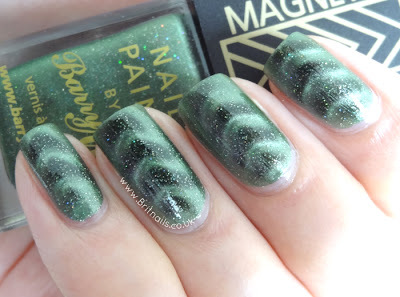 much better than the one magnetic polish i've tried from the born pretty store. I haven't heard good things about the born pretty ones!